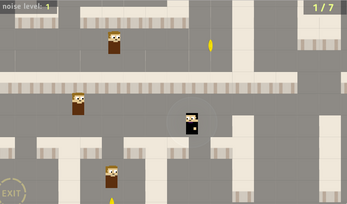 Ludum Dare 40 compo entry. Topic was "The more you have, the worse it is". A stealth puzzle top-down game, where you are trying to steal all the coins and not been spotted. There are guards who can hear you so be as quiet as possible. Unfortunatelly more coins you have, more noise walking emits. But you can lure guards by making noise and get them where you want.. if you can escape them. Guards can chase you all around the map. Note: I didn't managed to get sounds working in the web build. Mac version should be fine but I had no time to test versions for all other platforms. UPDATE: Hey! 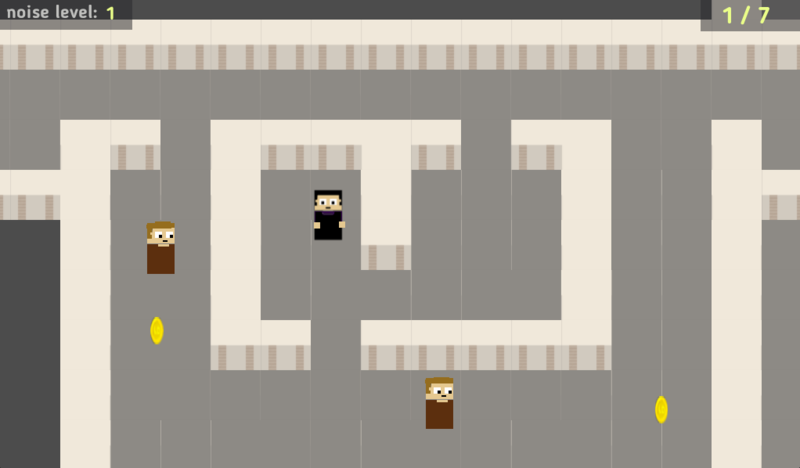 I'm working on expanded version of this game. I call it "Unseen".